It has been a little while since my last new app release, but my latest creation, a GPS / Navigation aid for Walkers with an iPhone, is now available in the iTunes AppStore. 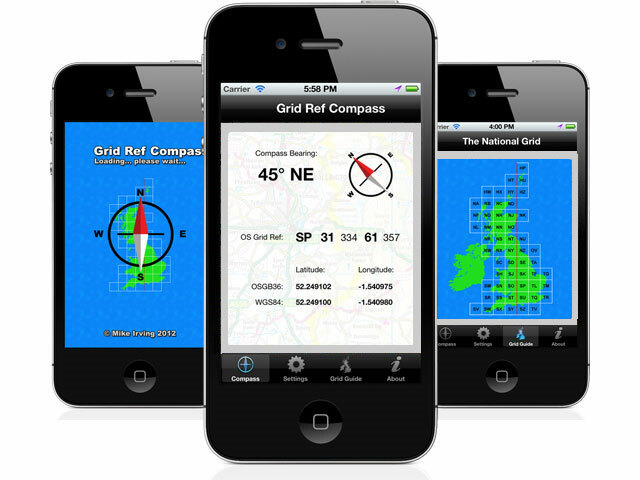 GB Grid Ref Compass is an app combining a useful compass, with GB National Grid location information. Making use of the iPhone's in-built GPS and Compass, the app is simple but useful. I was aware of similar "grid reference" apps, but none I had tried were particularly well presented, and none had a compass, an obvious omission in my eyes. From a programming perspective, it was good to work with location information for the first time. I had written some classes in C++ some time ago, to generate the "grid ref" data. It was a challenge to get the C++ into my Xcode Project, and make it accesible from Objective-C.
in my Mobile Apps Portfolio. Download the app now: GB Grid Ref Compass on iTunes. In addition to the new app, I have also updated Keyword Density and SEO URL Ping to work with Unicode (non-English) Latin Characters.